Tipton Elementary kindergarten students recently celebrated 100 days of school on Friday, January 18th. 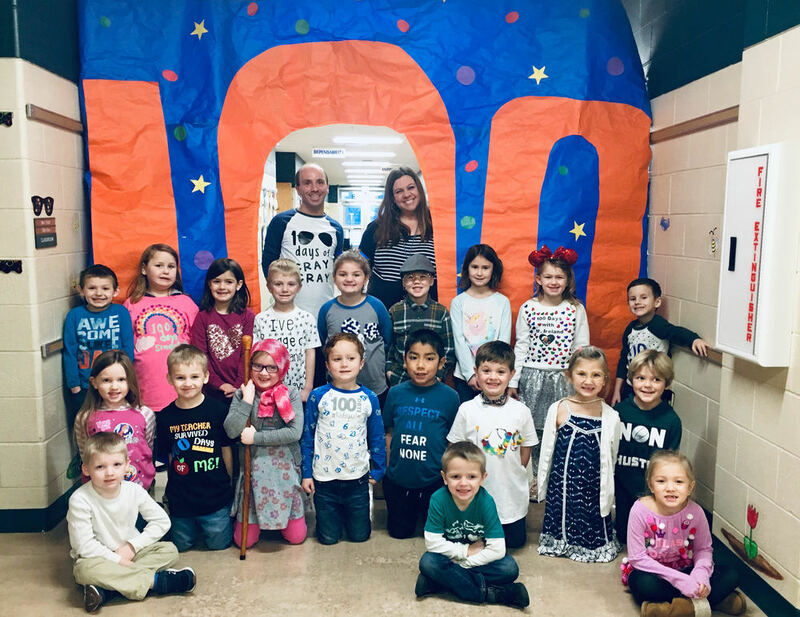 One of the many activities and ways to celebrate was having students and teachers make a shirt celebrating 100 or dress like they were 100 years old. Throughout the day, children participated in many activities that dealt with the number 100. Some of the activities were – 100 exercises, creating a 100 necklace, writing prompts involving 100 items they wish for, what they would buy with $100 or what they will do when they are 100 years old. The students and teachers had a great day full of fun activities and learning. COPYRIGHT © Tipton Community School Corporation 2019. All Rights Reserved.